Im hoping to get out to the range this afternoon. I will let you know how it works out. Did you play for the Pro version? I was outside when i tried using it. I did get to use it on the range. We were hitting of mats today. I hit about 10 PW shots and it picked up 9 out of 10. But it did not give me any distance. It did provide Launch, ball speed, spin and height, but no distance, carry nor total. I assume that this was because I was using the free (non Pro) version. Of course I couldn't review any items after I stopped the session. I hit about 2 or 3 driver shots as well. Again, picked them all up, but no distance. It was easy enough to setup. I followed the instructions on their videos. I may subscribe for the 7 day free trail and see the full app. Also I was using wireless earbuds, But I don't think that made a difference. For those with the paid versions, can you add details about clubs. For example can you adjust loft and length? Or maybe this wouldn't matter anyway as they may not be used in the calcs. Is the list manageable, i.e. delete some clubs from the list. 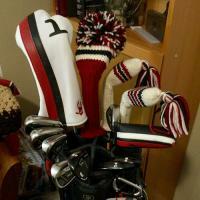 The list is long and I would like to limit it to the 13 clubs that I have in the bag. I used this app today. There are two playing modes to use â€œQuickshotâ€ and â€œSessionâ€. LEVVâ€™s pro prices are $3.99 a month or $34.99 per year. They offer a 7 day free trail once you sign up. The jury is still out on how accurate this app is. One the plus side, their customer service is pretty responsive. A better model would be a time bombed fully functional app. No way i'm signing up to a monthly fee until I'm sure it does what it claims but i can't test that with free app. 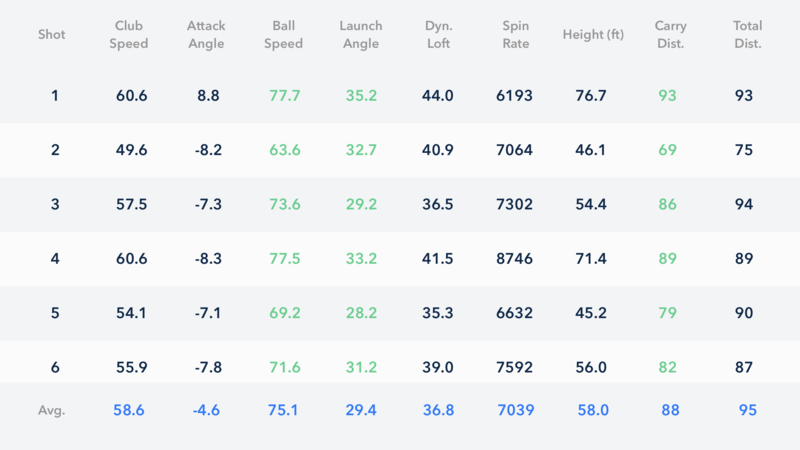 Before I see any reviews with a comparison with data from other LM (TM, Flightscope, GC2/4) I wouldn't trust any of the data they are coming up with. The ball fight model would be tricky to get right and I can't see how a single (2-D) camera with 120fps will be good enough. It doesn't have any depth perception, that means a shot that starts at target would show a different ball speed/carry than a shot with the exact same ball speed that was launched a few degrees off target (not sure how significant that would be though). GC2/4 uses stereoscopic cameras for example. According to the Nyquist sampling theorem you need to sample with at least twice the frequency of the signal you are observing. In this case the 'signal' is the spinning of the golf ball and the sampling is the taking pictures. So if e.g. the ball has a spin rate of 7000 rpm that would be about 116 rotations per second. If you would want to sample that you would need to sample with at least 2x116=232 samples (pictures) per second. The iPhone camera only does 120fps though. So you will only be accurate with shots that spin less than 3600 rpm (e.g. driver). GC2 uses 10,000 fps. I would be surprised if the data is consistently within 10% of other LMs. Ok I was able to use this app on the range today. Bottom line up front: itâ€™s not ready for primetime. Out of the 50 balls that I hit it pick up data on 19 shots. I had to throw away several shots because the data was way off. I signed up for the monthly rate with a seven day free trail. The setup is to finicky and the voice output stopped working after I changed clubs. I only used my 6,7,PW and driver. The detection rate was best on my 7 iron. The carry distance seemed to be accurate when tracked. I then moved to my driver and the detection rate was all over the place. I tried moving my phone but I was only able to get 3 useable shots. 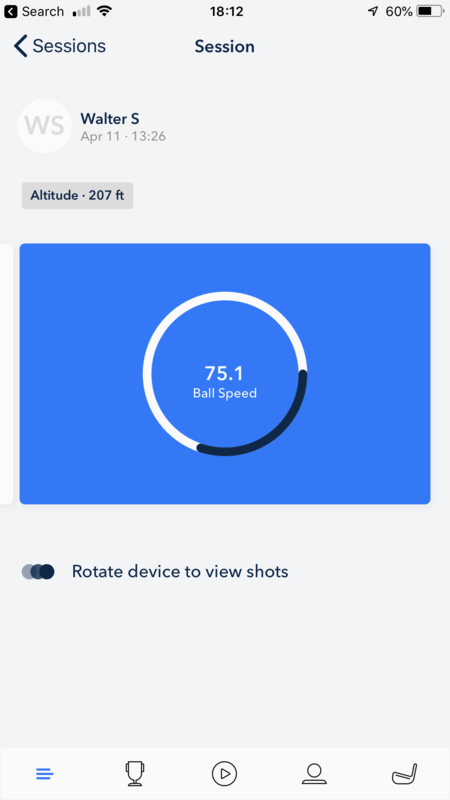 I moved to my PW and the app has a warning that because of the higher angle wedge shots may not be as accurate. While that was a understatement, it didnâ€™t pick up any shots (7 attempts). I moved to my 6 iron and again the detection rate and accuracy was so so. I will cancel my subscription but it was worth a shot to see how this app worked. I thought I had read this before, but it's on the apple spec page, the iPhone 6S can do 240FPS slo mo at 720P. I’m with the LEVV GOLF team and would love to answer some of your questions and clear up any issues you guys are having with the app. I do not however want to break any of the forum rules or overstep if this is not allowed? Shaun Thanks for entering this thread. As you can read from my experience above there are some kinks to work out. I will try to use the app a few more time during the trail period. I do applaud your team for creating this app. I’m not sure why the voice prompt stop working after I had to change clubs. This became a little problematic because I had to move my phone to check the reading and then I had to re-level the app to use again. I think your carry accuracy was “spot on” with my good reading from my 7 iron. I also believe my only good driver detections were also good. I’m not sure why I had a low overall detection rate /usable data points. I stand corrected regarding the fps on the newer iPhones. So they can record with 240 fps which means they could sample a spin rate of up to 7200 rpm. So roughly for 8 iron and above the spin rates would be questionable. When they would get the spin rate within 10% the difference would be about +/- 2yards at 7000 rpm (and the other values above). So the distance could be reasonable accurate. However I think the results they show will always assume that it was a straight hit as I can't see how they would measure side spin with a 2-D camera. I can't possibly imagine a launch monitor based on an iPhone camera being anywhere near accurate. I thank your carry accuracy was “spot on” with my good reading from my 7 iron. I also believe my only good driver detections were also good. I’m not sure why I had a low overall detection rate /usable data points. Thanks nupezb! We welcome all feedback, good or bad, as it helps us to know how and where we can improve the app for you guys. Your issue with the lower than expected detection rate is something that we are aware of and tracking. It's affecting a small percentage of users under certain conditions. A fix for this is already in testing and should be out by next week. Also, check out the latest video on our Youtube channel or Instagram on setting up LEVV GOLF, if you haven't already. In the meantime, I would like to offer you a coupon code for a Pro Subscription to LEVV GOLF so you can try out the update if your trial has already expired by then. Let me know if you are keen. You really know your stuff! 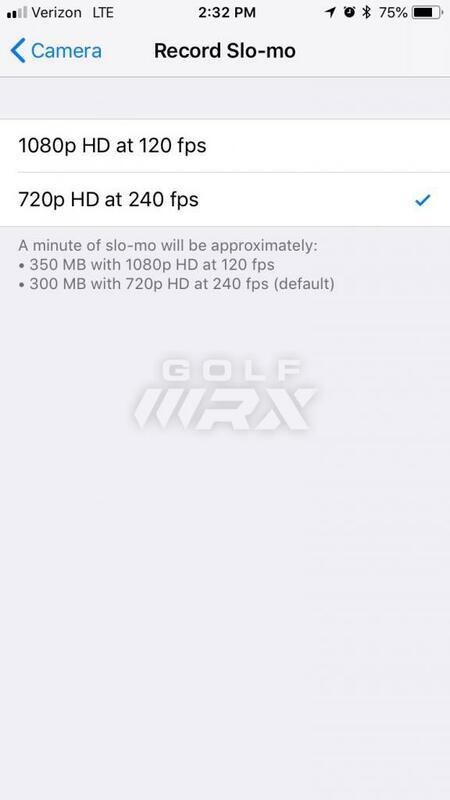 You are correct in that LEVV GOLF is using the 240 fps capability of the iPhone 6s and up. Anything less than this will not be sufficient to accurately detect and track the various data points. It is quite a challenging task to convince golfers how an iPhone can compare to a Trackman or some of the more sophisticated devices on the market. Cost should be the first factor to consider but then perhaps the comparison would not be fair. 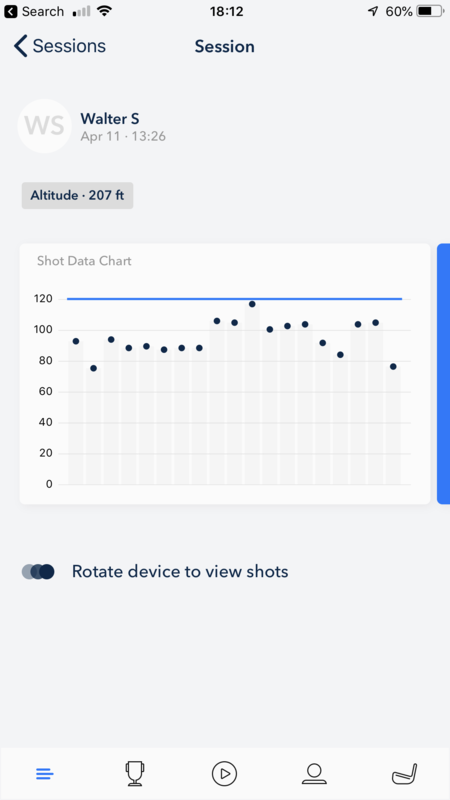 With LEVV GOLF however our aim is to give ALL golfers the opportunity to get accurate data like Carry Distance, Launch Angle and Spin Rate and it is our mission to prove to you guys that we can deliver on this. As for your speculation on the Spin Rate. We do use this in our ball flight model as well as actually detecting the Launch Angle (we do not base this on club loft). 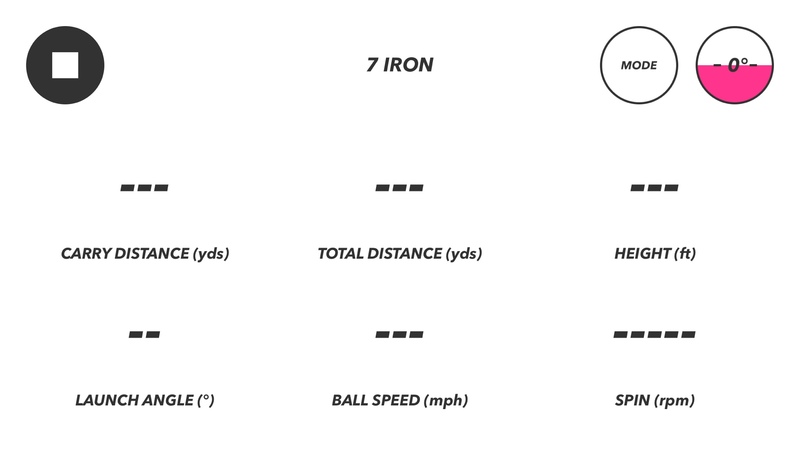 These data points allow us to give accurate distances within the constraints of the technology available to us. You will also find that LEVV GOLF is robust to right or left shaped shots and the algorithms will adjust your Carry Distance accordingly. Of course, any new technology has some growing pains but we are actively updating the app and making improvements so keep an eye out and keep the feedback coming! Shaun - Thanks for your reply and the offer. I look forward to seeing the new updates. INtersting app. I'd love to test this out and see how accurate it is. Hey guys, Bryan here from LEVV GOLF. We want to let you guys know that there was a major update on LEVV and we have identified and fixed the issues we were having with tracking in certain extreme conditions as well as added some features that the users requested. We are very excited about the new and improved LEVV GOLF and we have had some amazing feedback. Inside the app you will see your Starter Kit as well as the Help section to help you set your app up correctly to get the best possible results. Also check out the What's New section to see what we have added to the app to make it even better than before. If anyone wants to get in contact, please feel free to email us on [email protected], we love chatting about golf and LEVV and we welcome any feedback. I see LEVV Golf has changed their app name and look. The new name is ShotVision. I’m planning to see if this app has improved enough to use for training. I just noticed. Was looking on my phone and couldn’t find it. Just got a new phone and thought maybe I lost the app somehow. Would love to hear your feedback once you've tried it. I took it out to the range last week for a quick test. I would say it’s accurate roughly 80-85%. I was checking the range against my range finder. On some of my mis hit (low burners) the reading where off pretty bad. Since I was playing a round and using my Arccos Caddie I wanted to safe my battery. I will take it out again later this week for another test run. Hopefully, the screen grabs come through.